Oxfam is one of the UK’s largest charities; working toward a world without poverty throughout 94 countries. Their work touches 15 million people each year as they provide food, water, healthcare, education as well as emergency support services across the globe. Oxfam’s charitable work relies heavily upon patron contributions. 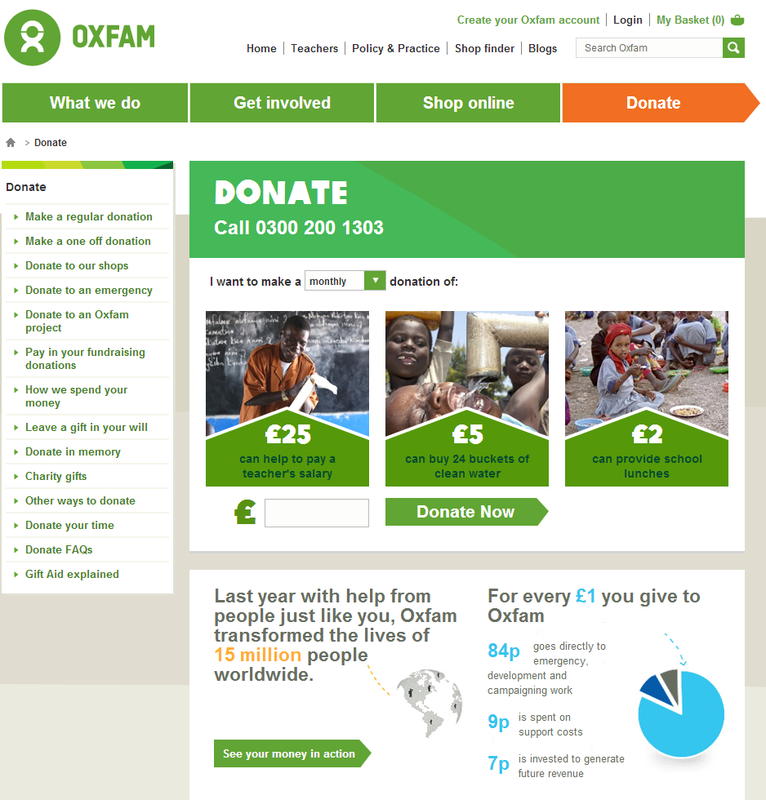 As more supporters move to the internet as a way to engage with Oxfam the website required improvements in order to increase conversion and secure donations. Bunnyfoot’s support and insights were very much appreciated by the team here, and were core to ensuring the design of our new website was centred on our users. It was great working with you!